Amazon has offered a wide range of web services that can help in boosting up your IT business to attain new heights. The services are available for every individual across the globe, so they can easily get all the information about these services and use them as per their requirements. Big companies like Formula One Group are using the Amazon Web Services to innovate something new for the future. Here, we are showcasing the highlights of the AWS Elastic Beanstalk, which comes under Amazon’s Compute Category Services. Who should use AWS Elastic Beanstalk? What are the Features of AWS Elastic Beanstalk? What are the languages supported by AWS Elastic Beanstalk? What are the elements of the application when using Elastic Beanstalk on AWS? What database solutions can I use with AWS Elastic Beanstalk? The AWS Elastic Beanstalk is a cloud deployment service by which you can easily set up your application on the Amazon Web Services infrastructure simply by just uploading it. All the other necessary operations like autoscaling, provisioning, load balancing, and application health monitoring will be handled automatically by using it. Moreover, the Elastic Beanstalk is blessed with an open architecture, which means that even the applications not written for the web can be deployed on it. Amazon doesn’t charge additionally for the Elastic Beanstalk, consumers will just have to pay for the resources used to run and store their apps. Accelerate Your career with AWS Training and become expertise in Amazon Web Services. Enroll For Free AWS Training Demo! As we have already mentioned above, the Elastic Beanstalk packs an open architecture, which means it can be used by anyone. In simple words, we can say that anyone who desires to deploy and manage his/her application on Amazon Cloud within minutes can use the AWS Elastic Beanstalk. You do not need to be a pro player in cloud computing to use this service. The AWS Elastic Beanstalk comes with several eye-catching features which make the deployment and management of application on the Amazon Cloud very easy. Let us have a look at the features associated with the AWS Elastic Beanstalk, by which, you can easily get a deeper look into this service. Let us now have a look at the features of AWS Elastic Beanstalk. Amazon Elastic Beanstalk offers you support for a wide range of application environments. It supports a lot of container and coding platforms including Ruby, Python, Node.js, PHP, .NET, JAVA, and Docker. Elastic Beanstalk comes with the availability of native and deep integration with rest of the Amazon Web Services. It means that you are allowed to configure your application according to your requirements. You can perform a lot of actions with the help of it, like enabling SSH access, choosing different instance types with more or less memory, arranging the required security, and connecting with additional AWS services such as RDS, Lambda, and S3. With the help of Elastic Beanstalk, you can have a small start and can scale it up to desired heights. Amazon gives you the power to create 75 apps on the Elastic Beanstalk, with 1000 versions of each one of them. All the users are allowed to run up to 200 environments across each and every one of their applications by default. Moreover, you are also allowed to request more using a request form if your organization needs more resources. The AWS Elastic Beanstalk comes with an ability of provisioning all the load balancers, necessary instances, and additional resources that your application requires. So, you don't have to worry about anything as the Elastic Beanstalk will take care of every necessity of an application. Furthermore, you don’t even have to specify anything related to the type and size of these resources. 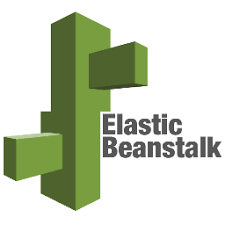 Easy version management of applications is also a great facility offered by the Elastic Beanstalk. With the help of EB (Elastic Beanstalk), you can easily deploy different application versions to a running environment of an application. Moreover, you will also not face any hurdle while rolling back to a previous version of that application. While running an application in production, it is highly important to know if any issue arises, so that you can fix it at the right time. The Elastic Beanstalk checks it out for you by executing regular health check-ups to ensure the smooth running of your application. If not, the EB finds out the root cause of the problem and resolve it within a very small period of time. For this, the Elastic Beanstalk may launch a new instance, which is failing, or replaces the load balancer if the issue is being caused by it. With the help of Elastic Beanstalk, you also get access to the Amazon CloudWatch. By using this marvelous management tool, you can monitor the system environment via set metrics such as CPU usage, inbound/outbound network traffic, and request count. It will provide you the exact measurement of your application’s health status. By using the AWS Elastic Beanstalk, you can easily take the guesswork out of managing of your currently running application. You are allowed to administer the versions and environments of your application via Beanstalk console. You can also view logs, restart instances, and even rebuild the entire infrastructure with the help of AWS Elastic Beanstalk. If your application runs smoothly at a server but cause distortion sometimes, it means that you will need two or three servers to scale it up. You can perform this task with ease if you are using the AWS Elastic Beanstalk. You can set triggers to add or remove instances depending on the load of your application. In simple words, you can increase the number of servers if the CPU usage goes above 50 percent. If you are using the AWS Elastic Beanstalk, you will get notifications automatically whenever improvement events and activities take place for your application. For example, you will get notified when new deployments occur, new servers are launched, or your predefined threshold is suppressed. Apache Tomcat for Java applications. Apache HTTP Server for PHP applications. Apache HTTP Server for Python applications. Nginx or Apache HTTP Server for Node.js applications. Passenger or Puma for Ruby applications. These are the languages supported by the AWS Elastic Beanstalk. You can easily use these languages to take advantage of EB. You can choose your desired storage option and database. You can enable direct login access to the Amazon EC2 instances for immediate troubleshooting. You can run your application in more than one available zone, which will improve its reliability. You can enable HTTPS protocol on the load balancer to enhance the application security. You can monitor and get notified about the application health and additional important events with the help of Amazon CloudWatch. You can pass the environment variables by adjusting the application server settings. You can run additional required application components like a memory caching service in Amazon EC2. You can easily access the log files without even signing in to the application servers. These are the following application components you can control by using the AWS Elastic Beanstalk. Amazon does not bind you to any specific data persistence technology. It simply means that you have many options to choose such as Amazon DynamoDB, Amazon Relational Database Service, Oracle, Microsoft SQL Server, or any other desired relational database services running on the Amazon EC2. The AWS Elastic Beanstalk is a fine service offered by the Amazon and is undeniably a futuristic tool that can enhance the working of your application. You can learn the AWS Elastic Beanstalk and can make your working more flexible and reliable. All the major points and details related to the Elastic Beanstalk have been mentioned in this article. Now, you have to choose whether it meets your learning interest or not. Choose wisely, and all the very best for your future.